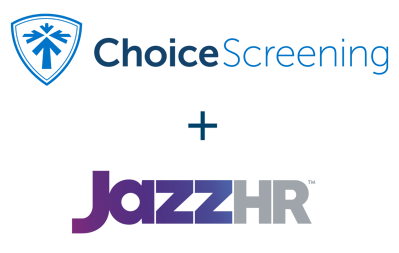 Choice Screening is proud to be a preferred partner of JazzHR. Combine the services and technologies of JazzHR + Choice Screening to significantly improve both who and how you hire. Are you ready to experience The Choice Difference? Fill out the form below and we will be in contact shortly. What is The Choice Difference? I've worked with Choice Screening since February 2010 and have been very satisfied with the reports as well as timeliness of getting the results. Whenever I have a question or concern, their customer service has been helpful at resolving the issue! The entire process is simple and quick. I’ve worked with other background screening companies and definitely feel that Choice Screening has provided me with a superior product! Since 2011, we have worked with Choice Screening to conduct background checks and drug test on employees and volunteers. During our peak season, Choice Screening is able to handle the volume effective, efficiently and timely. In the rare case there is an issue, customer service has been quick to resolve and provide us with outstanding service. The website is extremely easy to use. We have used several screening agencies throughout the years and Choice Screening is by far the most efficient, service oriented, and cost efficient agency.